Cairo has undergone so much change in the last 40 years that it is difficult to visualise what it once was. Before a decree was promulgated for the protection of the historical buildings of Cairo, a great many hotels were demolished to make way for new ones. Semiramis was one of them. This was a great loss because it was landmark of the city, a meeting place of the intelligentsia, a place where afternoon tea on the broad open terrace overlooking the Nile was a tradition. In the foyer air was circulated with huge ceiling fans, and Nubian servants with red tarbooshes and tight cummerbunds hurried hither and thither serving clients. 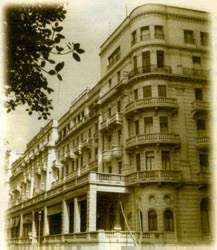 The book, Queen of the Nile: A Historical Tribute to a Landmark Hotel, was written by Adel Sabet, King Farouk’s biographer and cousin, and is not only a book on the history of a hotel in its heyday, but shows to what extent it was witness to the history of tourism in Egypt; what travellers were like before World War I; their favourite tourist destinations, and how all this changed in the period between the two world wars and afterwards. 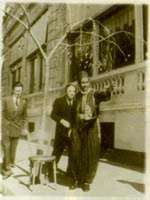 Semiramis Hotel was inaugurated in 1907 in Kasr El-Doubara, an area of gardens and gracious town houses. The ruling Khedivial family made the beautifying and developing of the cities of Egypt matters of priority and in Kasr Al-Doubara and its Garden City extension the process reached something of a climax. There are no gardens in Garden City today, and its winding circular roads are so congested with traffic that it is difficult to visualise a time in which it deserved its name. The book describes the large number of aristocrats who lived there and the hotel that was designed to be palatial, with a luxury unexcelled, a home for royal visitors, prestigious celebrities and world figures. The hotel was the brainchild of Swiss hotelier Bucher-Durrer who owned a chain of hotels in Europe including Rome Quirinale, the Palace in Milan and several prestigious hotels in Switzerland. 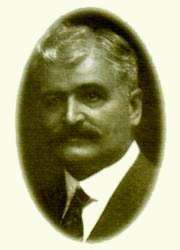 He purchased 6,000 square metres overlooking the Nile in the vicinity of Kasr Al-Doubara, in a prime position between the palace of the Walda Pasha and Kasr Al-Nil Palace. The Queen of the Nile describes how tourists — a different kind of tourist — returned to Egypt after the war. They were less affluent and could no longer afford prolonged winters. The aristocrat from Europe was replaced by a breed of war profiteers. Moreover, Egypt had become a monarchy and the book points out that “monarchies tend to stimulate tourism”. The tomb of Tutankhamun in the 1920s was a tourist bonanza. There is no doubt about that. The treasures of the Pharaonic king caught the imagination of the world and tourists flocked to gaze in wonder at the superb workmanship of Ancient Egyptian goldsmiths and the incredibly rich funerary furniture. Egypt also became a favourite destination for literary figures like Britain’s Agatha Christie, Finnish Mika Waltari who wrote his best-selling Sinouhi the Egyptian, Freya Stark, the noted traveller and explorer, and French writers like Jean Cocteau, Andre Gide, Jean Paul Sartre and Simone de Beauvoir. Celebrities included Agha Khan with his wife who came regularly, and film stars Douglas Fairbanks and his wife. With the eruption of World War II everything changed. Cairo became the home of a large expatriate British community because it was the Middle East supply centre, and the book describes how the Semiramis and other hotels of Cairo “offered solace, comfort and entertainment to the embattled crowd of resident expatriates. They served the morale of both civilian and military personnel snatching a few hours leave from the battlefields almost within sound of the guns of Alamein where men were dying”. They began to provide a new service: ballrooms. Theatres sprang up for entertainment, and Cairo became one of the most prestigious entertainment centres of the world. 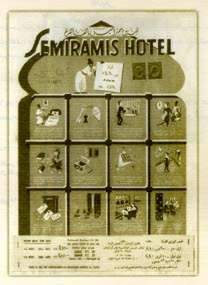 After the war, the Semiramis reverted to its role as a premier luxury hotel. Some of its old and faithful clients like the Agha Khan drifted back. A great Ismaili rally was organised in the ballroom. It was attended by Prince Ali Khan and his companion, the glamorous Rita Hayworth. The event coincided with the polo season. This prestigious game attracted the visit of the polo-playing Maharaja of Jaipur who came accompanied by his attractive wife. For a short space of time, Semiramis became the home of a dazzling group of international polo players. Semiramis roof became the ‘in’ place for Egyptian upper-class society. To quote the text of Queen of the Nile, “Under a full moon, one danced in a magic world overlooking the Nile. One tangoed, waltzed, fox-trotted those intimate dances of the recent past. One held one’s partner in one’s arms and romance blossomed under the stars.” Egypt’s royal family were frequently to be seen there: King Farouk and his sister Princess Fayza. After the revolution of 1952, the pace and quality of life changed. The call for a new modern establishment on the bank of the Nile was heard. Old-fashioned luxury such as the Semiramis offered was considered uneconomic. The era of mass tourism and conducted tours was about to begin. Semiramis, and all that the name meant, has gone. The glitzy Semiramis Intercontinental with modern facilities which has sprung up in its place is particularly popular with Arab tourists and upgrade tour groups from America. Nubian waiters have been replaced by smart suited waiters. For those who remember, there is a feeling of regret for “the good old days”!